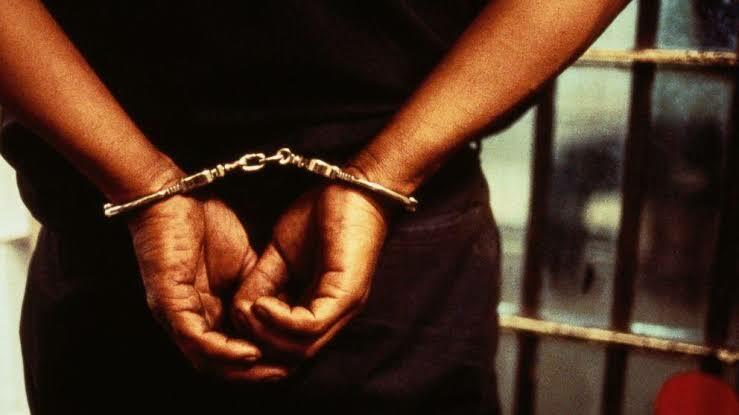 The police in Lagos have arrested a 25- year - old cook , Kelechi Ugwu , for allegedly damaging the private parts of her neighbour , Emeka Egwu , in Ajiwe , in the Ajah area of the state . Ugwu reportedly burst Egwu ’ s scrotum for allegedly denying her access to her boyfriend . PUNCH Metro learnt that the unnamed boyfriend and Egwu were friends and there had been a disagreement between the lovers for some time which made them to keep each other at arm ’ s length. The suspect was reportedly disturbed that Egwu did not reconcile her with her boyfriend . Our correspondent gathered that the boyfriend had visited Egwu , but Ugwu was not aware until her estranged lover left. She was said to have complained to a neighbour about Egwu’ s indifference to settle the disagreement and threatened to deal with him . The victim reportedly confronted her after he got wind of the alleged threat and an altercation ensued . The woman was alleged to have gripped his private parts and damaged one of his scrotums with her fingers . It was gathered that the case was reported to the police at the Ajah division, which apprehended Ugwu . A source disclosed to PUNCH Metro that Egwu told the police that he was caught unawares by the assault which happened on March 12 , 2018 . The source said , “According to the complainant , he was outside around 7 pm that day when Kelechi (Ugwu ) passed in front of him , looking for her boyfriend who had visited him (Egwu ). She left when she could not find him and told a woman that he (Egwu ) was the one who told her boyfriend to abandon her . “ He said when he heard that she threatened to burn down his house , he confronted her . She reportedly picked a stick and hit him in the face . Another source , however, said the woman , in her statement to the police , said Egwu came to challenge her in her apartment for shouting as she was discussing an issue with her sister. He said , “ The woman is a cook . She said she was reporting a friend to her sister and during the discussion , she became annoyed . A police prosecutor , ASP P. O . Dike , brought Ugwu before a Tinubu Magistrate ’ s Court on one count of assault. The presiding magistrate , Mr. L. O . Kazeem , granted her bail in the sum of N 50, 000 with one surety in like sum . The case was adjourned till May 21, 2018 for trial.